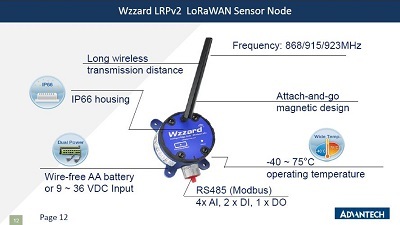 The Wzzard™ intelligent wireless sensor platform creates a complete, quick and easy connectivity stack between your sensors and your application, on your network or on the Internet. The platform uses Intelligent Edge Nodes, a wireless 802.15.4e SmartMesh IP network to transmit sensor data to the Spectre Network Gateway. The Spectre Network Gateway can connect to the Internet via wired connections or the cellular data networks and communicate with application platforms using the MQTT IoT protocol and JSON data formats.